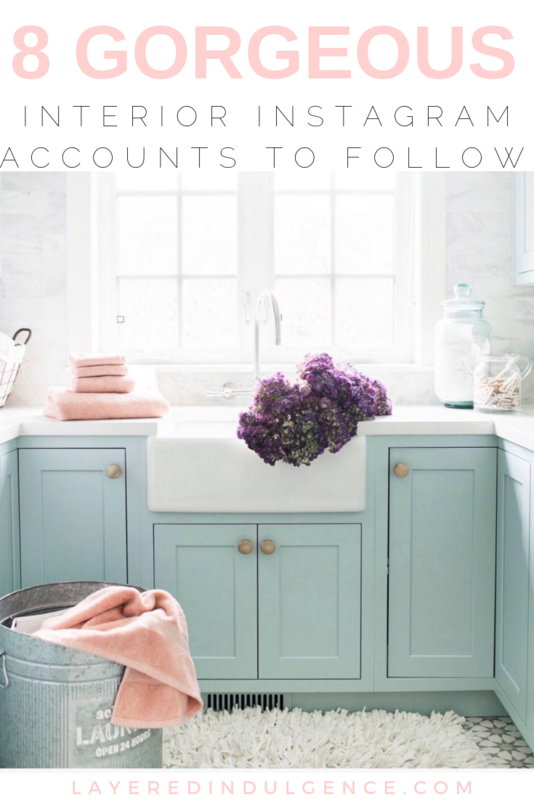 If you want to grow your Instagram, one of the most important things you can do is be consistent (especially if you want to beat the Instagram algorithm). Instagram rewards accounts that post regularly, and I would suggest posting at least one photo a day. 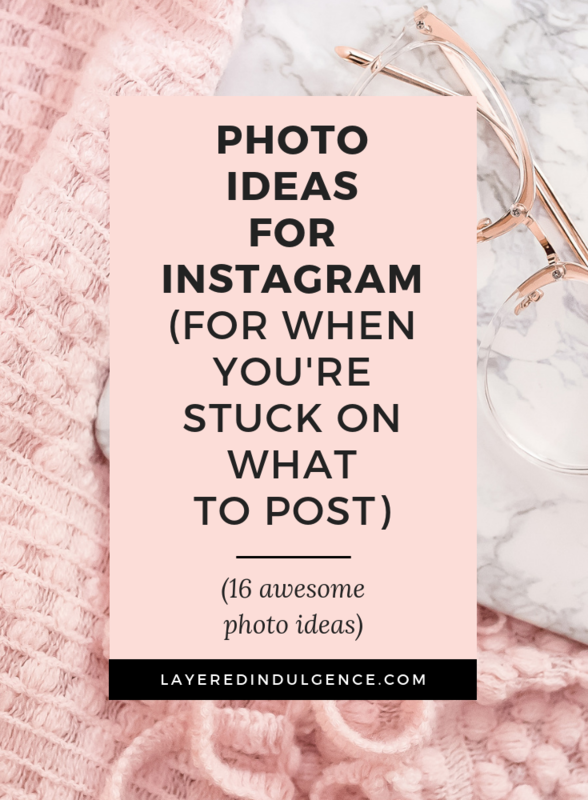 A photo a day may sound overwhelming, so I put together a list of photo ideas for Instagram for when you’re stuck on what to post next! 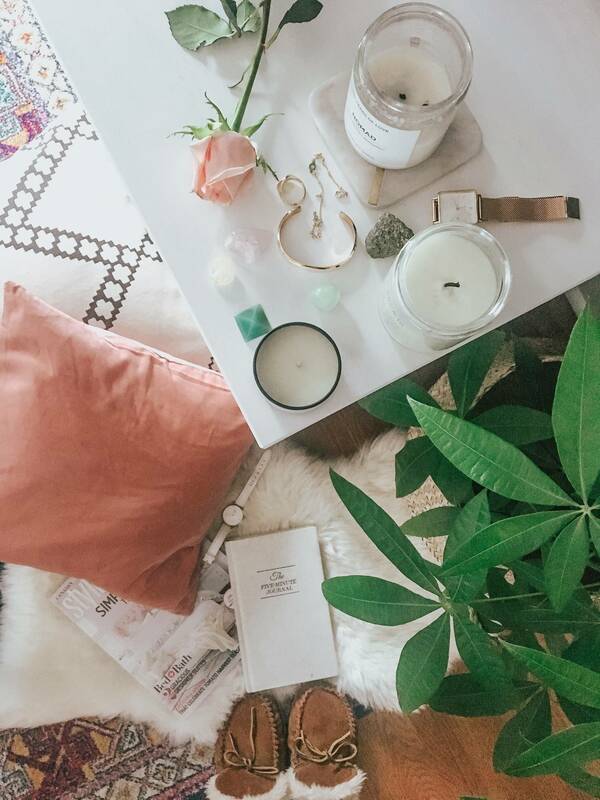 Flat lays are an Instagram favourite, and for good reason! They’re simple to put together and always look great on the grid. For my flat lays, I usually like to add some texture with a faux fur rug underneath, and I’ll put together some of my favourite items. You can use a notebook, pens, jewelry, lipstick, your laptop, a cup of tea, your watch…really anything you want. Make sure the items are balanced and there’s just the right amount of background space! I also like to shoot it from different angles to see which shot I like best! I love a good detail shot! Detailed photos are up-close shots, usually of your accessories. 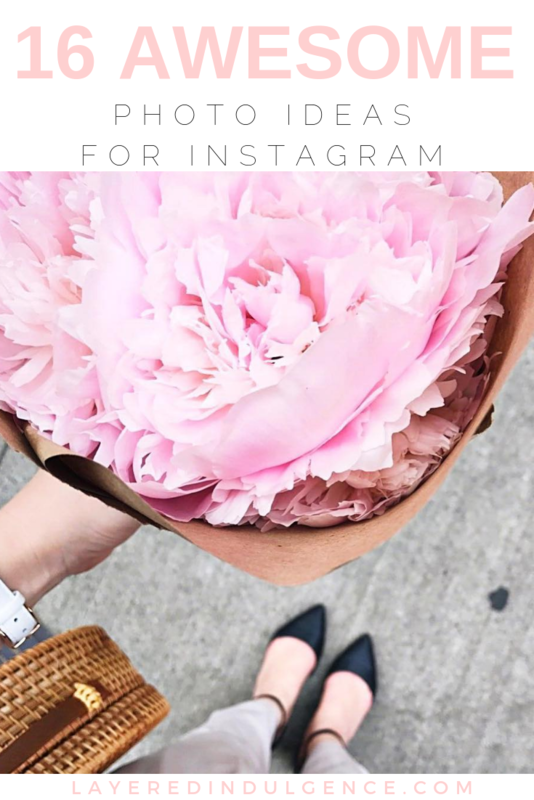 You can shoot a close-up of your outfit, a bouquet of flowers, your cup of coffee to go, your watch or bracelet against your dress…get creative! Local coffee shops are always great places to snap an Insta-worthy shot. There are so many photo options you can get at a cafe – from a shot of the pastry-filled counter, to a bird’s eye view of your coffee, to the outside of the cafe from the street. Take a bunch of photos to use throughout your feed! There are some amazing quotes out there, and why not give your followers some inspiration? The right words can make a huge impact on someone’s day and stand out especially when people are scrolling through countless photos of people and objects. A quote can offer all the #goodvibes! On the days where I really don’t have the energy to take and edit a photo, I turn to my favourite stock photo site. 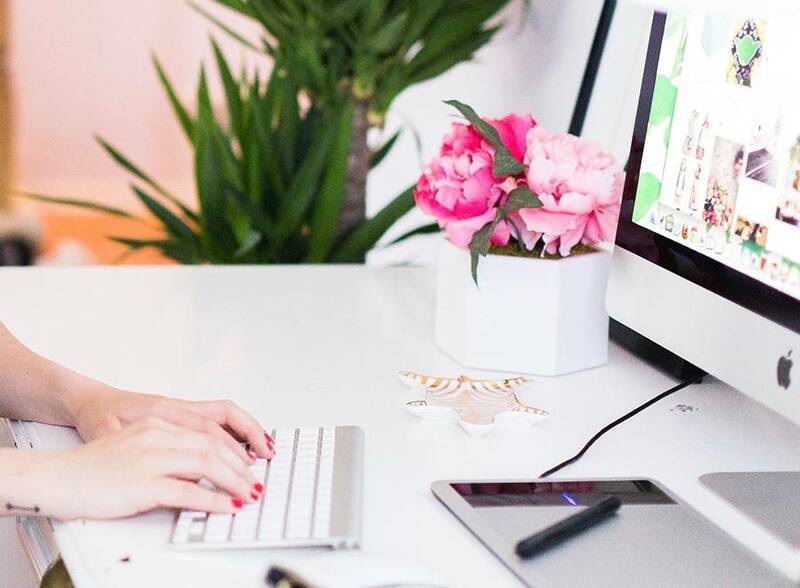 Haute Stock has absolutely gorgeous images, especially if you’re a female entrepreneur/blogger. Her photos are airy, feminine and perfectly curated. I use these photos a lot for my blog and sometimes use them on Instagram as well! Gone are the days of cheesy stock photos…when you find a subscription like Haute Stock, it’s completely life changing! Everyone loves a good #fromwhereIstand photo! These are great when you don’t have anyone to take a photo for you and need to take one yourself. Find a nice floor and get your shoes and part of your outfit in the shot! Whether you’re traveling or exploring your own city, make sure to snap photos of pretty buildings. They make for great filler photos when you don’t have anything to post! If you’re anything like me, you love to brunch! And why not snap some Instagram photos while you’re eating delicious food and sipping on your favourite caffeinated drink? Whenever I go to brunch I’ll make everyone wait so I can get the shot before we start eating LOL. It may be annoying sometimes, but you gotta do it #forthegram! If you’re running around on a busy day, wondering how you’re going to get an Instagram shot, grab a coffee-to-go and snap a photo! If you’re working from a cafe or meeting a friend, capture a photo of your drinks together! When I don’t have anything new to post on Instagram, sometimes I’ll take a look back through my photo stream and see if there’s anything I can post. I’ll often post a photo from a trip I previously went on, and although I’ve never done a #tbt, I do through it back and make it work with my feed! The #outfitoftheday photo is a classic and I find they usually get me the most engagement. If you don’t have anyone to take your #ootd photo, stand in front of a full-length mirror and take a photo of yourself! People LOVE animals, so go ahead and flaunt your pet on Instagram! Pets themselves have become Instagram sensations, with their owners creating Instagram accounts just for them! I’m not saying you have to go that far (unless you want to of course), but capture a cute shot to share on the gram! Photos with two people often do even better than solo shots. Have a photoshoot with your BFF and save some of the photos so you have them when you’re stuck on what to post. Me and my best friend Tracey got invited for a staycation at Hotel X in Toronto, and we took the opportunity to do a BFF photoshoot around the hotel! We still use the photos months later! Did you whip up something delicious (and gorgeous) for breakfast, lunch or dinner? Style it and shoot it for the gram! You don’t have to be a food blogger to share a photo of your #foodie creation! Reading an amazing book? Take a cozy photo of you holding the book from a bird’s eye view, the book on a big blanket with a cup of tea, or even the page of a book that really got your attention. People are always looking for new books to read, so they’ll be grateful for your suggestion! Instagram has become so perfectly curated that people are craving real-life, behind-the-scenes photos. Post a photo of your desk, or a the mess from a photoshoot you did, or you in sweats having a bad hair day. People will love to get a behind-the-scenes look of your day! If you feel stuck for what to post on Instagram, use these photo ideas to take your feed to the next level and beat the algorithm once and for all! Do you have other Instagram photo ideas I missed? Let us know in the comment section! Or tell us which is your favourite on this list! If you loved this post on photo ideas for Instagram, please share it on Pinterest!